The garage door is all too often forgotten when it comes to securing a house. Many owners spend thousands of dollars upgrading their property’s windows and doors, but then settle for a cheap garage door or, worse, retain an old door that has seen better days. Properly securing your garage should be given as much consideration as the property itself. After all, you’ll be storing valuable items within. This may only be your vehicle but if you’re like most garage owners, you’ll also be storing everything from expensive tools to family keepsakes. If your garage is directly connected to the interior of your property, it becomes doubly important to use a solid and safe garage door. Intruders will look for any means of accessing your property, and as far as they’re concerned, if they can do it away from the view of others in the neighborhood, that’s even better. Simply put, the door that connects the garage to the house should be as secure as your front door. The garage door itself should be robust enough to keep unwanted people out. At Edmonton Certified Locksmiths, we offer a number of garage door services to keep you safe and secure. We are happy to install a completely new garage door or replace an existing one. In both cases, our trained professionals will ensure that it is expertly assembled, in full working order, and secure. 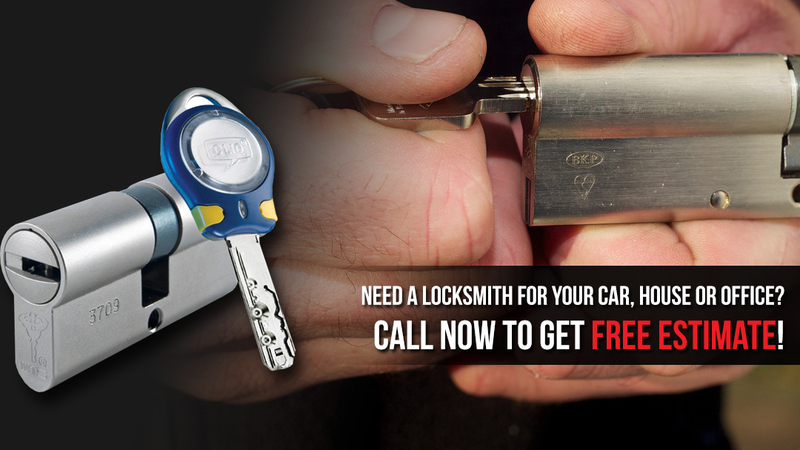 We can also assist you should you need just the lock changing. Whether you’ve lost or broken a key, feel that somebody has a key that shouldn’t, or the lock has broken, we can fit a new secure lock ensuring that your garage, and you, remain safe at all times.